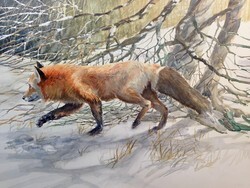 Local artist Gary Broome won first place in last year's Watercolor East Texas juried exhibition. This year's show opens at 6 p.m. Saturday, July 28, in Cole Art Center. NACOGDOCHES, Texas - The 34th Watercolor East Texas juried exhibition will open with a reception from 6 to 8 p.m. Saturday, July 28, in The Cole Art Center @ The Old Opera House in downtown Nacogdoches. This year's juror is Texas artist Bev Boren, who is a signature member of Outdoor Painters Society and Southwestern Watercolor Society. She is also a member of the Oil Painters of America, American Impressionist Society and American Watercolor Society. Her work is primarily the result of her "need to paint," she said. "Inspiration can come at any time and in any place," Boren said. Not confined to one subject area, she paints a variety of subject matter and works in various mediums. Her paintings are created with things that capture her eye, whether it's a still life or landscape or a person's personality. She explains that painting is her way of connecting with the world and the people around her and sharing those experiences along the way. In her words, "Trying to describe or explain my efforts at painting or drawing seems like a futile effort. After all, I want my work to express itself without the necessity of words. My best hope is that my work will stand simply on its own and find a connection with viewers where words fail." The exhibition runs through Aug. 26. The Cole Art Center is located at 329 E. Main St. For more information, contact WET member Carol Athey at atheycj@sfasu.edu or call the art center at (936) 468-1131.